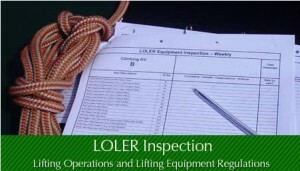 As part of the Lifting Operations and Lifting Equipment Requirements (LOLER), one of the key requirements is that all lifting equipment must be put through periodic thorough examinations by a competent individual. This seems straightforward, however in practice a significant number of your employees may fail to meet the requirements and obligations. There are several reasons for this; it has been consistently found that many companies struggle to keep track of their lifting equipment. 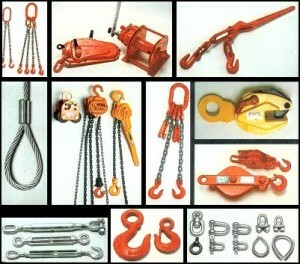 The LOLER criteria does not just cover significant lifting equipment such as overhead cranes, it also covers simple and small items such as shackles and slings. In order to meet the legal requirements, and ensure the integrity of your lifting equipment demands a rigorous system, whereby all items of your lifting equipment arsenal is fully accounted for at all times. The obvious starting point for effective overhead lifting equipment management would be to provide each piece of equipment with a specific identification number and to create an inventory for all your items. However this needs to be combined with other key marking on all your lifting equipment, including safe working load, manufacturers ID and a traceability ID. Traditionally this has been done through hard stamping, however hard stamping is especially difficult with smaller items such as shackles or slings. This is because hard stamping can cause indents and displace material; also if the stamping is either too sharp or too deep it can cause cracking in the material. Alternatives to the hard stamping method include a system of multi coloured coded tags, however problems arise here as there is no industry accepted standard for tags. It is little surprise in this day and age that more technological methods are emerging to aid in keeping tabs of lifting equipment. One of the more sophisticated methods of tagging which is in increasing use is RFD tagging, due to being well suited for use in the management of capital equipment. In terms of options for overhead lifting equipment, the RFD options available include: new equipment which comes already equipped with RFD tags embedded in the equipment, or alternatively you can retro-fit the tags into existing pieces of equipment. Whatever system of identification and tagging is selected for use in your workforce, this only makes up part of the solution. In a busy workplace environment it is all too easy for lifting equipment to be scattered far and wide whether in tool boxes or vans etc. The ideal solution to this issue would be to create a dedicated storage area for all lifting equipment. This area should be under the jurisdiction of a specially appointed member of the workforce. The elected individual should then operate a control and issue system, which ensures that the only equipment which is released are those items which have been fully inspected and found serviceable to LOLER regulations. However if no permanent member of staff is available to monitor the distribution of lifting equipment within the workforce then the storage area should be locked and distribution should be handled by an individual who is available as and when required. Whatever the inventory set up of your workplace, it is important to ensure that equipment is only distributed to individuals who are both competent and authorised to use it. All equipment distribution should have a length of time attached to it, so that it can be fully accounted for at all times. Records should also be kept to ensure that overdue equipment can be located quickly and efficiently. This entry was posted in Keeping Inventory and tagged lifting equipment on July 2, 2013 by admin.